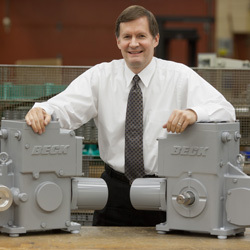 At Beck we recognize the importance of every person and job. Each individual is a significant contributor and considered a reflection of the business principles we work together to establish and maintain. That our customers must be treated with fairness and honesty, and customer satisfaction is key to success. In a commitment to continued success and growth of our company. That our people are the future of the company. In challenging individuals with growth opportunities. That open communications, teamwork and mutual respect result in better decisions by all. That our vendors are important partners with whom we must work together. In our responsibility to contribute to the community. These are among some of the basic principles that guide the performance of the Beck team.